Visiting Santa Fe in winter is an experience everyone should savor at least once. The smell of wood burning fireplaces, and the aroma of delicious cold weather dishes being prepared in Plaza eateries, along with the welcoming warmth of local hotels and shops, is beyond inviting. 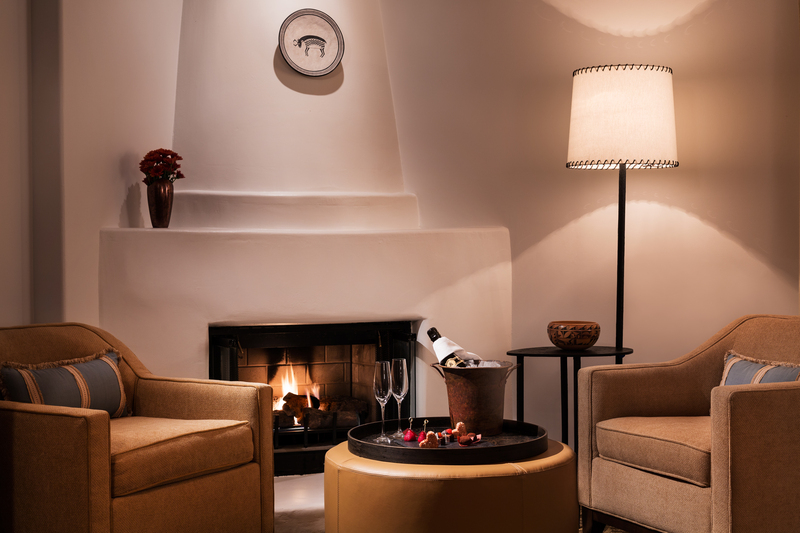 Delights to be enjoyed in Santa Fe in winter, especially at the Rosewood Inn of the Anasazi, are always at the top of my New Mexico travel list. This impressive property opened on September 23, 1990, with a blessing ceremony by a Pueblos medicine man, a Franciscan priest and local area artists, along with placement of a time capsule in the building foundation that was filled with documents, artwork and symbolic objects representing the bridging of cultures in Santa Fe. The name Anasazi is Navajo for “Ancient Ones,” the original and complex society that grew successfully in dramatically placed cliff dwelling living sites in Sante Fe nearly 700 years ago. They were a people who are said to have succeeded, survived in the challenging environment, by living in harmony with one another and nature. The beautiful guestrooms and suites are all filled with artistic examples of Southwestern culture and luxurious amenities, including hand-crafted furnishing and authentic artwork. A glass of wine, seated by a cozy fire before bed in one of these beautifully appointed rooms, is a perfect ending to a day shopping, perusing the art galleries or at the finish to a day of skiing at one of the nearby ski areas. The hotel will gladly arrange for a private massage in your room if desired. Smoking is not permitted at this property, however, it is a dog-friendly property. Valet parking is available, as well as a concierge service to assist with tours and special activity requests. For guest wishing to investigate the history, myths and legends of the area, the library offers a helpful selection of resource information to assist them. The room can be reserved for private business or dinner meetings. Their award-winning wine cellar is an intimate hide-a-way for private gatherings up to twelve guests, and the patio is ideal for al fresco dining on the plaza, weather permitting. 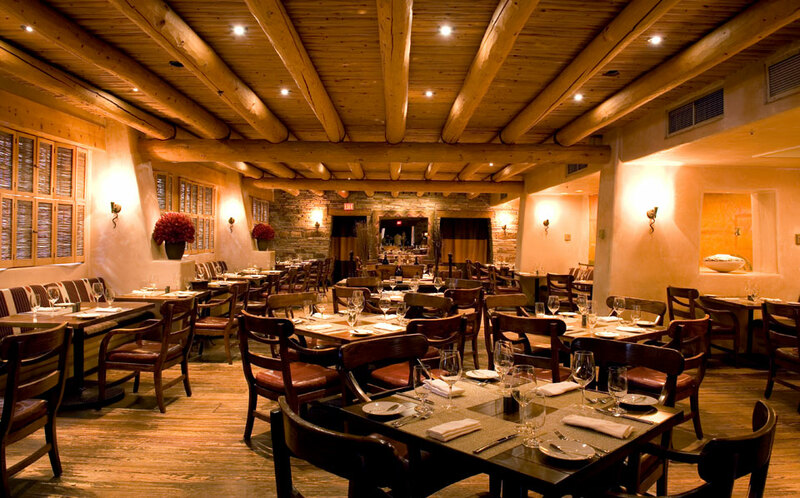 The Anasazi Restaurant is one of New Mexico’s most highly acclaimed culinary destinations, with Executive Chef Juan Bochenski at the helm. The elegant and rustic Southwestern dining room is a warm and wonderful respite, where Chef Bochenski’s menu changes frequently and celebrates American cuisine infused with fresh, seasonal and regional ingredients. His menu celebrates American cuisine, in particular, New Mexico cuisine, and is infused with fresh seasonal and regional ingredients, leading to a menu with great variety. Signature dishes include Duck Enchilada Molé, Diver Scallops and Kurobuta Pork Belly, Achiote Grilled Salmon, Grilled Elk Tenderloin and Angus Beef Duet with Diablo Sauce. The talented chef enjoys creating a synergy between local area products and his wide range of international cooking techniques, to create breakfast, lunch and dinner plates that appeal to locals and visiting guests as well. Juan Bochenski was appointed Executive Chef of the internationally heralded Anasazi Restaurant in December 2011, and has infused a bevy of exciting and delicious flavors to the Anasazi menus. He was classically trained in French cooking at Chez Nico in London. He also received formal training in both Melbourne and Buenos Aires, with certificates from esteemed culinary institutions, including Buenos Aires Catering S.A., the Alicia Berger Cooking School, IBAHRS International Hotel and Restaurant School Buenos Aires, and the Regency Institute Hotel School TAFE. Bochenski also served as Sous-Chef at several esteemed restaurants throughout Melbourne and Sydney, including Berardos, Four in Hand Bistro, and Windsor Hotel Oberoi. 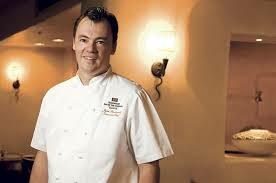 In 2008, Chef Bochenski joined Rosewood Hotels & Resorts as Sous Chef at Jumby Bay, A Rosewood Resort in Antigua. 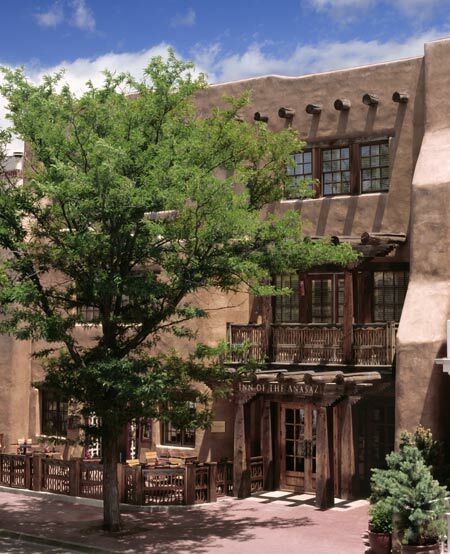 Rosewood Inn of the Anasazi® celebrates the enduring creative spirit and traditions of the region’s early Native Americans, and is Located in the heart of Santa Fe, making it ideal for total enjoyment of the unique and artistic New Mexico community. This charming inn is located sixty miles from Albuquerque International Airport, and eight miles from Santa Fe Airport, where private planes and charters arrive and depart. Driving From Albuquerque International Airport: Take Sunport Blvd. to I-25 North; follow I-25 North to Santa Fe (approx. 57 miles). Exit Old Pecos Trail North (exit 284). At the top of the off ramp, turn left. At the third stoplight, turn right to stay on Old Pecos Trail. At Paseo de Peralta, turn right. Turn left at the stop sign at Marcy St. At Washington Ave., turn left. Rosewood Inn of the Anasazi is the third building on the left. 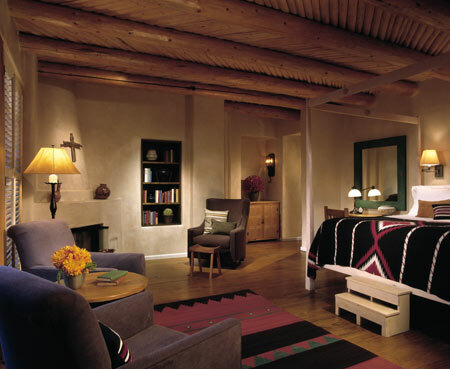 For special Luxe Beat VIP offers at Rosewood Inn of the Anasazi call 888.212.6444 or go to classictravel.com/luxebeatvip.